Extremely late notice, but I’m playing my first live gig since getting back to Ireland tomorrow night, 10th March 2012, at U, 13 High Street, Dublin 2. I’m playing downstairs and should be starting at 10pm. You’ll be pleased to hear that admission is free! I’m really looking forward to it and will be playing some work that is in progress for an upcoming release. 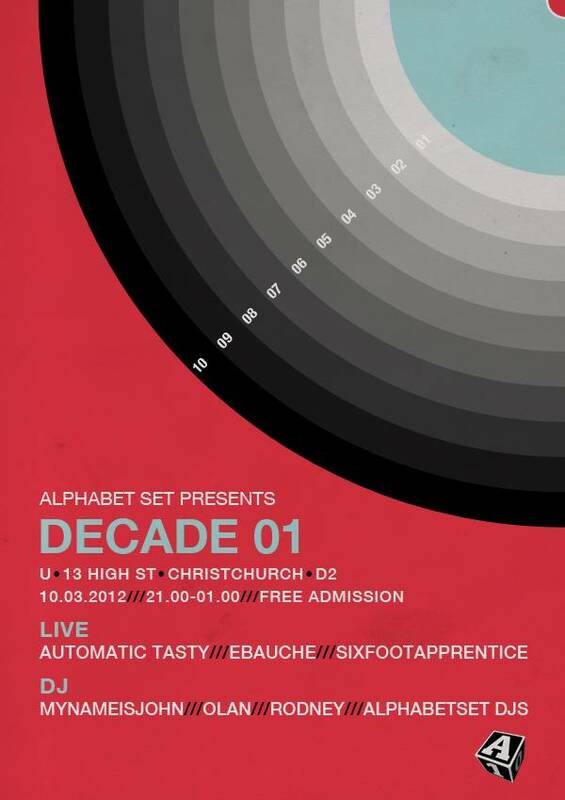 It should be lots of fun as the Alphabet Set celebrate 10 years of musical wonder. Official blurb follows! The Alphabet Set are back at 13 High St to celebrate our 10th anniversary with a SERIES of monthly parties that’ll feature a plethora of the artists and DJs that have released, gotten involved, helped out or just caught our ear over the decade. U is the latest and so far the finest incarnation of Molloys where the Alphabet Set ran our first sessions, with two areas of music over 4 floors. Expect to hear vinyl gems from roughly every style and from every era upstairs and live electronic jams in the basement. Our goal at the time of starting, and still is, to provide a platform for bedroom producers and DJs to get out, play live, perform and release. These sessions will be no different with a mix of up and coming and established names in the monthly melting pot. Admission is free and session runs 9 – 1.